A Certified Balloon Artist is a member of a group of balloon professionals who successfully complete a series of tests, including oral and practical exams. 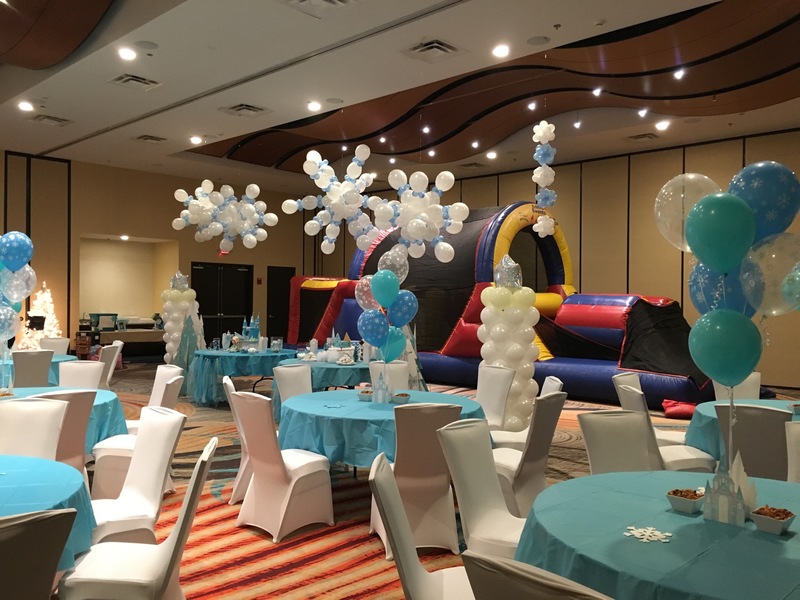 The certification is administered by the Qualatex Balloon Network, a professional organization dedicated to the pursuit of excellence in balloon decor. At this time, there are fewer than 3,000 Certified Balloon Artists worldwide. Besides trained to use only the best quality products in all of our creations, through extensive training we are educated on industry standards and are accountable for maintaining them. Not only are we trained to execute decor using proper design elements but also to be professional, offer superior customer service, excellent business practices and use current balloon decor techniques. 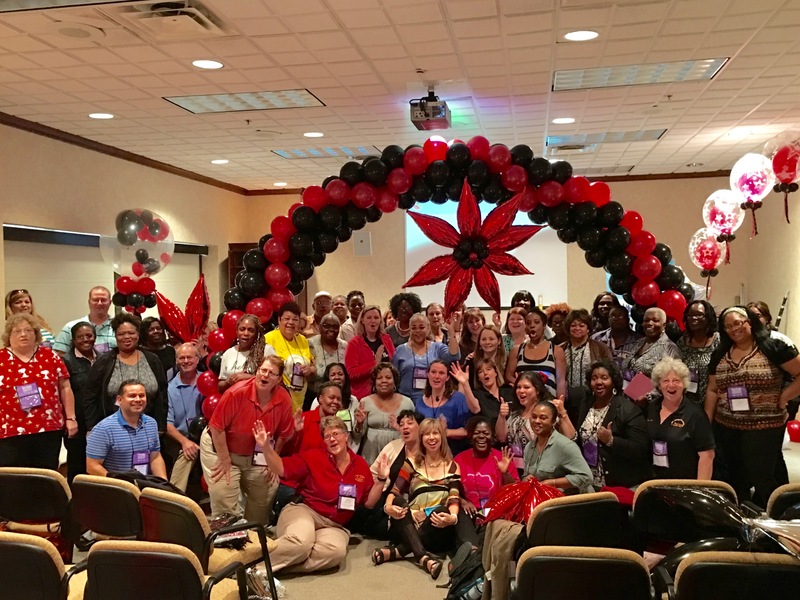 The purpose of training and ongoing continued education is not only to create artistic decor but with the ultimate goal of creating an experience – a visual design that will make customers wonder how that was done using balloons! This can only be achieved using professional techniques and methods learned from instructors with years of experience and dedication to the world of balloon art! In order to obtain this certification, candidates are required to perform certain tests. produce perfectly constructed personal balloon designs and precisely reproduce designs selected by the industry’s leading organization, Qualatex Balloon Network. Finally, in front of a panel of 2 to 4 leading experts in the industry the candidate must be able to explain design theories, delivery & sales techniques, business practices and etiquette. This is a timed, 4-hour, hands-on exam designed to confirm knowledge of the QBN curriculum. The success rate among candidates within an exam session is less than 25%. Many candidates must repeat the process until a passing grade is acquired. Anyone desiring to obtain their certification must travel to a predetermined location, often times in a different state and pay exam costs. Some candidates do well and obtain their certification after the first exam while others may have to repeat the process one or more times. As you can see, it is quite a process to earn this certification. Putting myself through this was a choice I made to be able to offer the best balloon business to my customers. However, let me tell you that this journey was a very difficult one for me. It had been many years that I’d been in a position where I was formally graded and the unfamiliar stress took it’s toll on me. I’m almost embarrassed to admit that I was one of 6 students in a class of 9 that didn’t pass. I failed not because I didn’t know the material… I failed because the stress of being scrutinized took over and I could barely remember my name! Thankfully my husband pushed me to put everything aside and prepare for the next opportunity which was 3 weeks away, with a different group of instructors, in a different state. On the day of the exam I was rested, confident and knew in my heart that I could do this – and I did… I aced my exam and earned those 3 important letters at the end of my name… CBA! It was very important to me to obtain this certification as I wanted to offer my clients the best their money can buy and help them understand that balloon decor is so much more than a cluster of balloons! 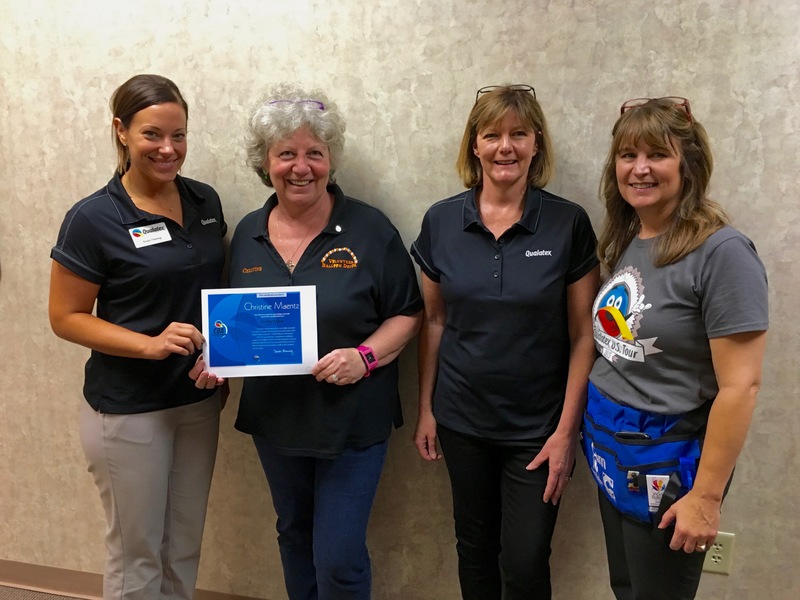 This can only be achieved through continuing education and working hard and gain the experience needed to become the best Certified Balloon Artist in the Knoxville area. As part of my personal business ethics, my goal is to treat all of my customers as if they were my only customer, no matter how busy I am. I’m much looking forward to next April when my husband and I will attend the World Balloon Convention in New Orleans! 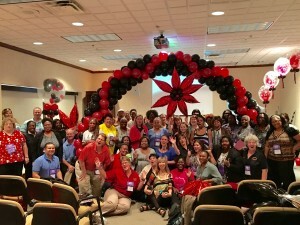 It will be the place to learn and expand my knowledge of the balloon decor industry, to reconnect with old friends and to make new ones! I’m super excited and so grateful that my husband supports me and constantly encourages me to take my business to the next level!